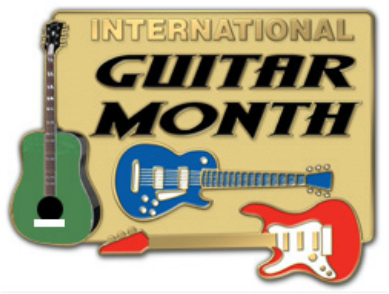 Since 1987, the month of April has been International Guitar Month, so our musician for this week is Andrés [on-dray] Segovia. Segovia was a virtuoso Spanish classical guitarist from Linares in Spain. He has been regarded as one of the greatest guitarists of all time. Many professional classical guitarists today are students of Segovia, or students of his students. 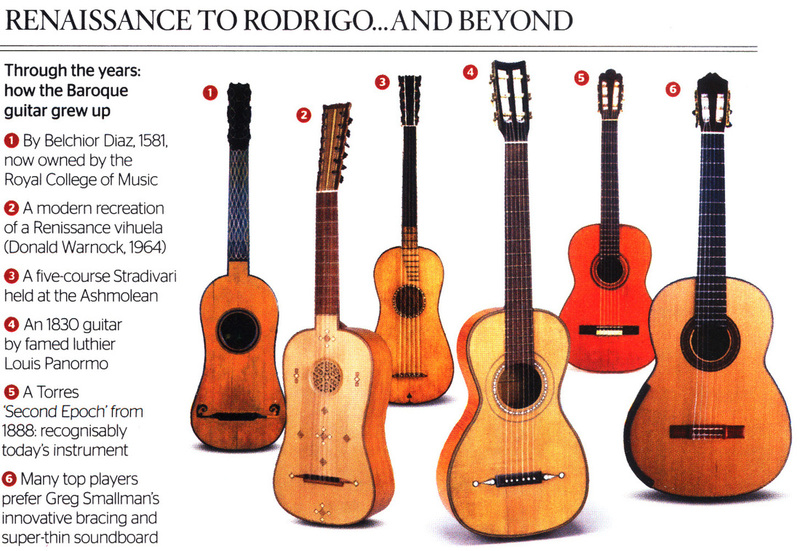 Segovia was important for bringing the classical guitar to center stage in concert music. 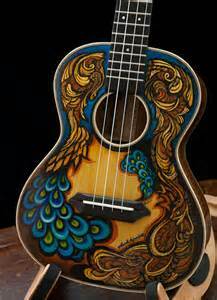 He was also the first to explore a wide palette of tone colors possible on the acoustic guitar. Segovia had a distinctive musical personality. His style of playing, and his way of phrasing musical statements set a high standard of performance that others have tried to emulate. Our listening example for today is called Asturias, or Leyenda [lay-END-da]. (We heard folk music from Asturias by Rimsky-Korsakov.) This popular concert piece was originally composed for piano by Spanish composer Albeniz. Segovia transcribed the music for guitar. This means he rewrote the piano music to be played on guitar. The video shows Andres Segovia’s technical skill and the different sounds that can be made on the instrument. LISTEN AND WATCH FOR . . . The melody, which will be the highest sounding pitches. Watch the fast harmony notes that are plucked by the fingertips and fingernails. 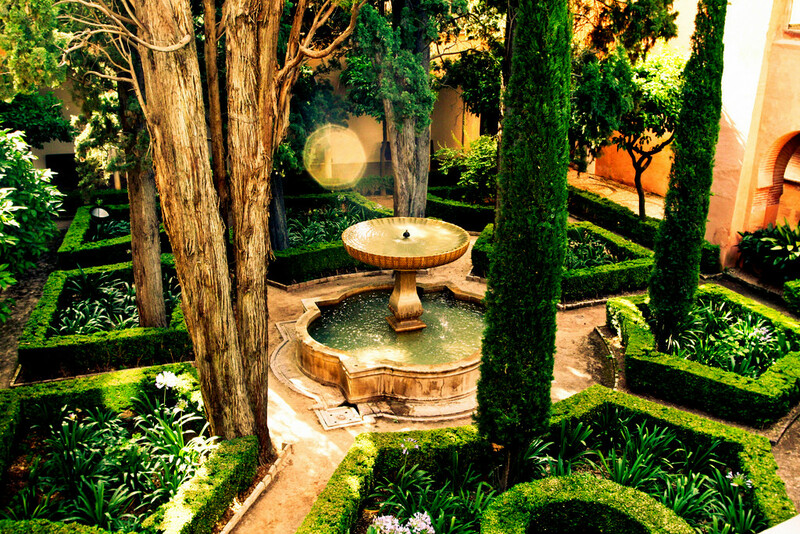 Linares is in southern Spain, just above Granada. 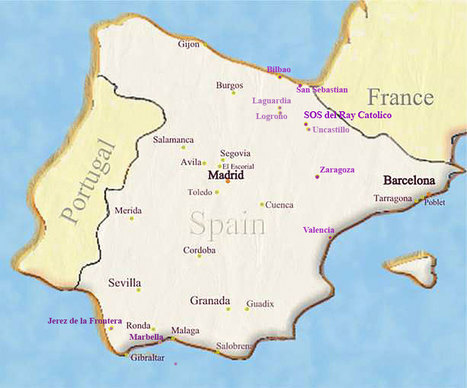 Asturias is in north-west Spain, on the Bay of Biscay. Classical guitarist - someone who plays classical style music on an acoustic guitar, rather than on an electric one. Transcription - taking music written for one instruments and re-writing it to be played on a different instrument. 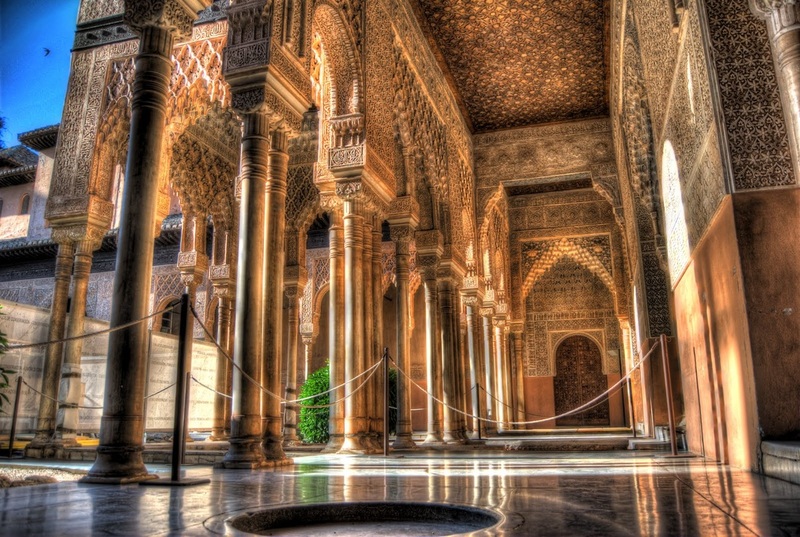 Andres Segovia's first public performance was in Granada, Spain at the age of 16 in 1909. Despite the discouragement of his family, who wanted him to become a lawyer, he continued to diligently pursue his studies of the guitar. A BIT OF IRONY: It is ironic that as a child Segovia left his first guitar teacher because he was too strict and wouldn’t let Segovia experiment in his own style. Later, as a teacher, his students complained about the same thing of him! Sevogia’s playing technique differed from other guitarists. He started plucking the strings with the fingernails as well as fingertips to produce a sharper sound from the guitar. This way he could create a wider range of tone colors, or timbres [tam-bers]. Most classical guitarists today play with both nails and fingertips. He was also one of the first to use nylon strings. After WWII, this new technology helped keep the guitar in tune better. 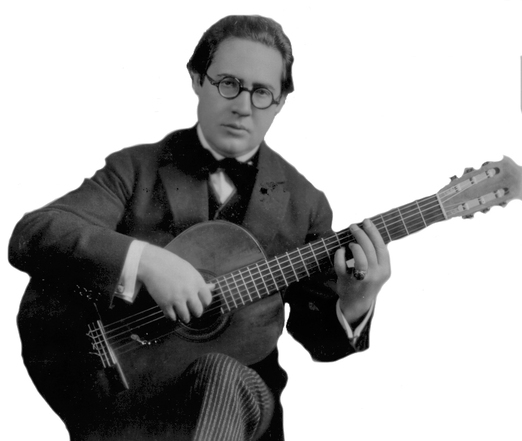 Segovia developed a technique called the “Segovia tremelo”, where the fingers strum the same tone repeatedly very fast. The tremolo is one of the most beautiful techniques of the classical guitar. It gives the impression of a sustained, shimmering note - a continuous thread of pure sound. It is a delicate effect that mesmerizes audiences when performed. 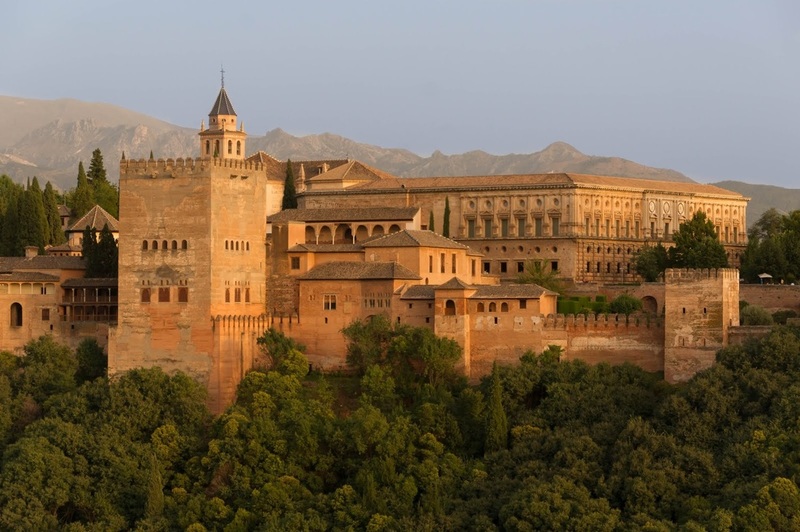 Our listening example for today is called “Recuerdos de la Alhambra” [ray-KWAIR-dose da lah all-AWM-bra] or “memories of the Alhambra”, which is a famous castle in Spain. It is by Spanish composer Francisco Tarrega. The video demonstrates the tremolo and rich sound quality taught by Segovia. Timbre - another term for tone color. Tremelo - very fast repetition of a single musical tone; produces a sustained tone. 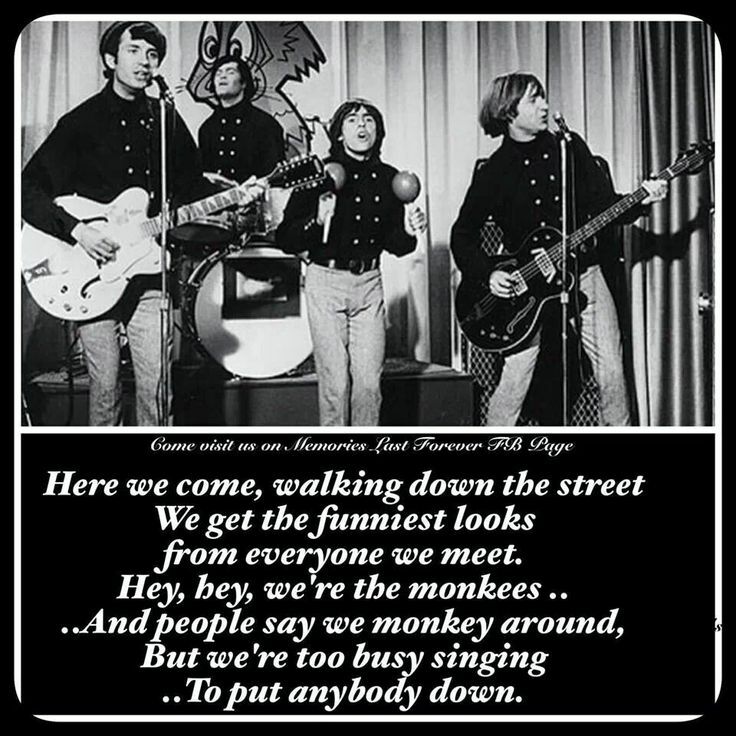 Listening Example: The Monkees "Theme Song"
One of the songs heard in Monkey Kingdom is the theme song from a TV series called The Monkees. The Monkees are an American pop/rock band that released music between 1966 and 1970, with tours and reunion albums in the following decades. 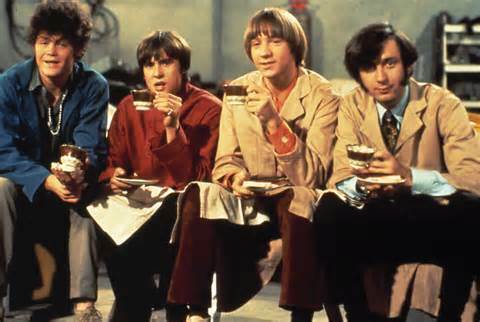 Their group was formed in Los Angeles in 1965 for the TV series which aired from 1966 to 1968. The musical acting quartet was composed of Americans Micky Dolenz, Michael Nesmith, Peter Tork, and Englishman Davy Jones. Their popular songs include "Last Train to Clarksville", "Pleasant Valley Sunday", and the number one hit, "Daydream Believer". In their TV series they experience zany, humorous adventures and situations. They wear kooky costumes and clown around with each other. They show positive attitudes and are kind to others. 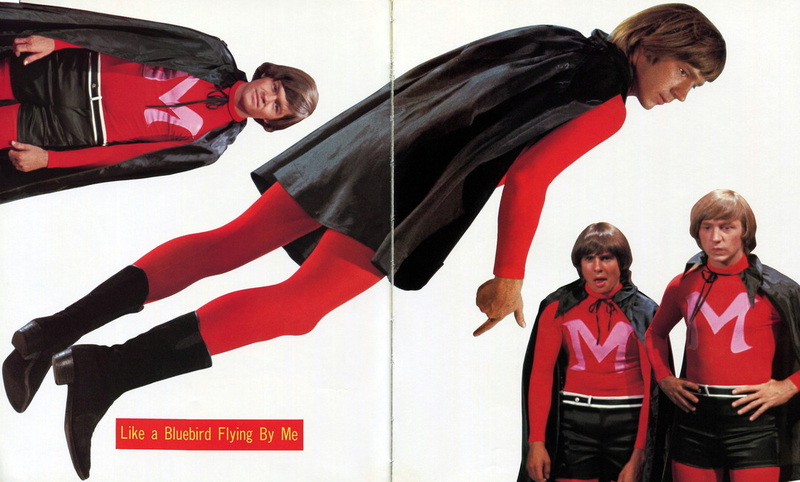 The Monkees pioneered the music video format. Band member Mike Nesmith dreamed up the prototype for what would become MTV. 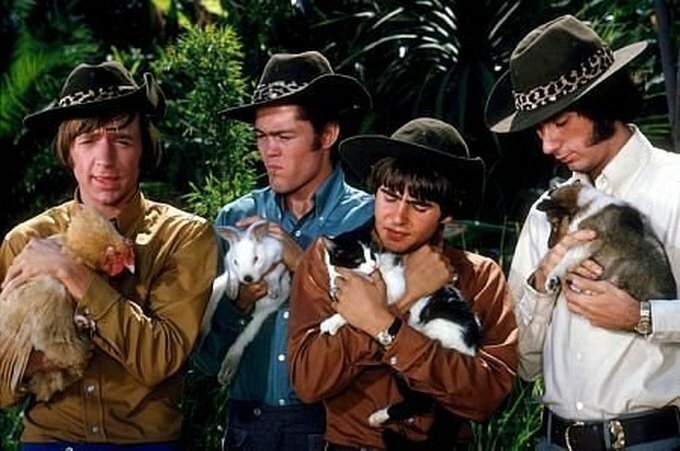 The group paved the way for every boy band that followed in their wake, from ﻿New Kids on the Block to 'N Sync to Jonas Brothers,﻿ while Davy set the stage for future teen idols ﻿David Cassidy and Justin Bieber.﻿ As pop stars go, you would be hard pressed to find a successful artist who didn't take a page from The Monkees' playbook, even generations later. 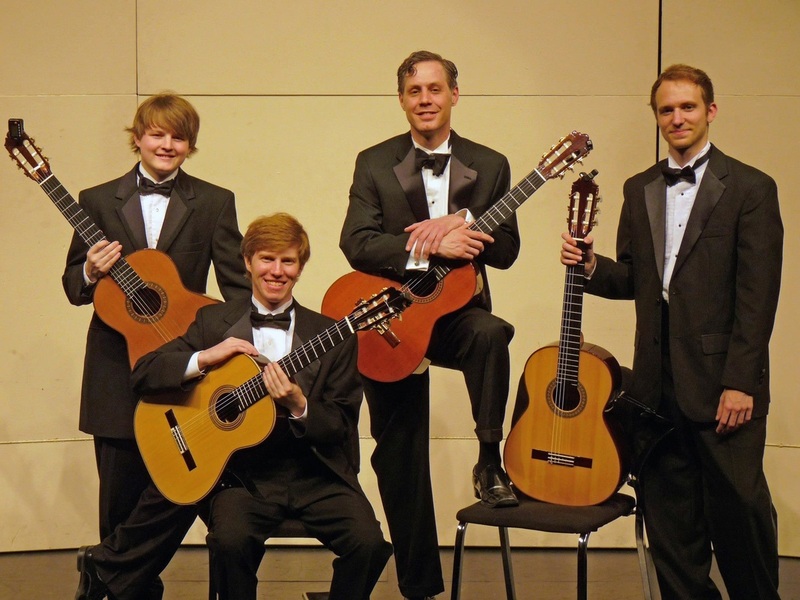 Flemenco is an important genre of Spanish guitar music. 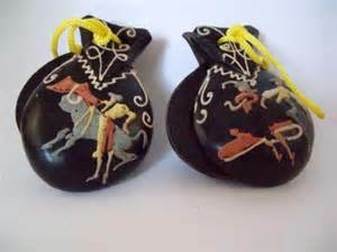 It is a very rhythmic dance involving hand clapping, foot stomping and castanet playing. 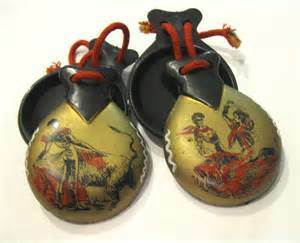 Castanets are small wooden discs clapped together with the fingertips. The castanets serve as percussion accompaniment to the guitar. 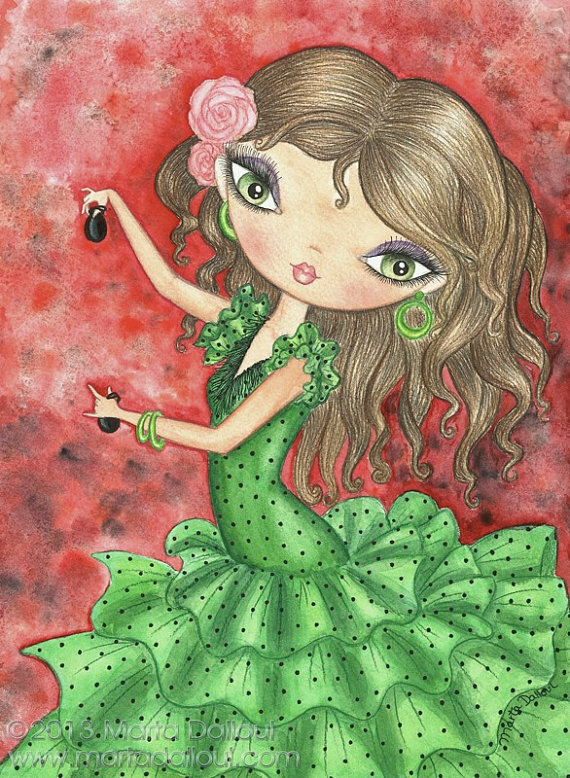 WATCH A VIDEO ON HOW CASTANETS ARE MADE. Our listening example today is flemenco music from Spain. A flemenco dancer sometimes plays castanets while a guitarist plays in the background. Flemenco is a very expressive dance. It combines graceful movement with facial expression. The lady must learn to twirl her skirt and not step on the long train of her dress. When a man dances, he uses more foot stomping and hand clapping. The rhythm of the guitar helps interpret the dance. Castanets - small wooden clappers played with the fingers. 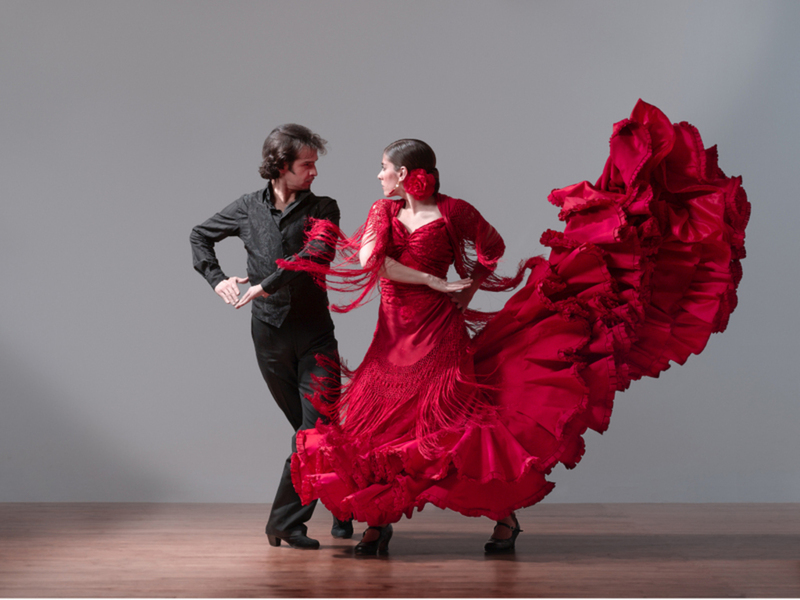 Flemenco - a style of dancing originating in Spain. Music written in the style. Frameworks: M.4.4., M.4.5., M.5.1., M.5.2. 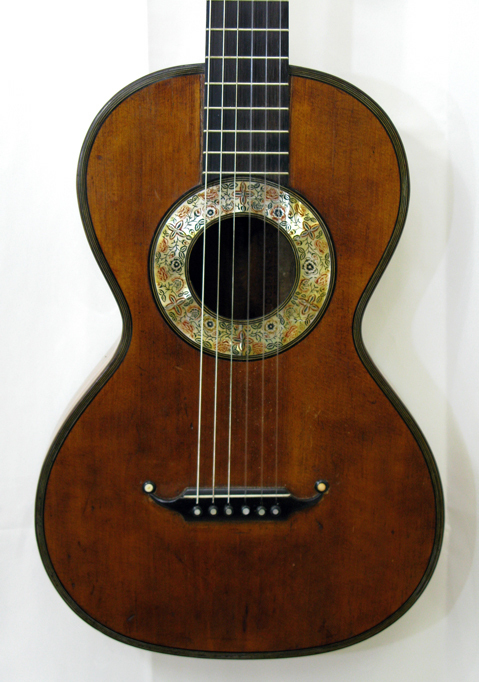 The classical guitar, or Spanish Guitar, is the member of the guitar family used in classical music. It has classical strings, rather than those used on guitars designed for popular music. The shape, construction, and material of guitars varies, but typically they have a shape resembling early romantic guitars from France and Italy. The flemenco guitar is like the modern classical, but it is made with different materials, construction and sound. The flemenco guitar is like the modern classical, but it is designed with different materials, construction and sound. 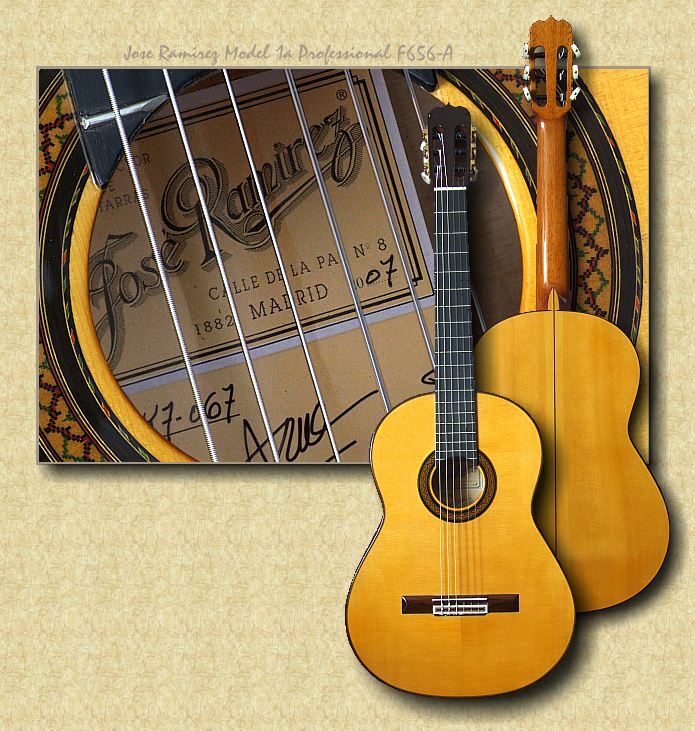 These features in flamenco guitars produce a more percussive sounding guitar than a classical guitar. 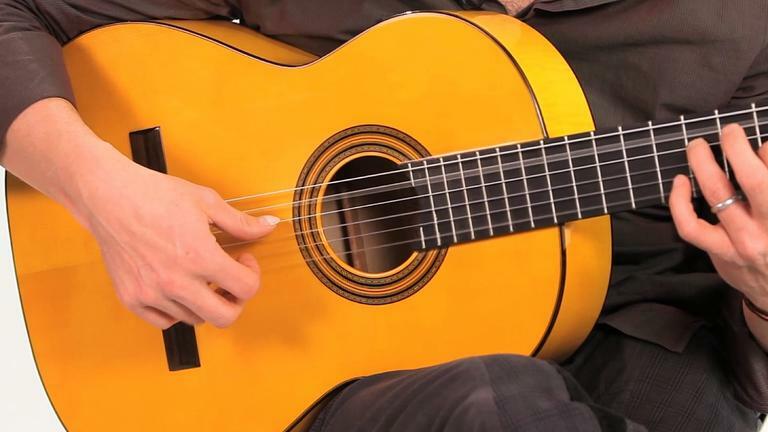 The notes on a flamenco guitar have stronger attack and a more rapid decay. This allows rapid, percussive playing of notes that remain distinct in sound. By contrast, a classical guitar is able to sustain sounds longer. Andres Segovia had his own ideas on using techniques in playing the guitar. Today's musicians also explore new ways to play instruments and get new sounds from them. We close International Guitar Week with a classical guitarist demonstrating his technique, adding a modern-day jazz twist to the music. What might Segovia have thought about this performance? 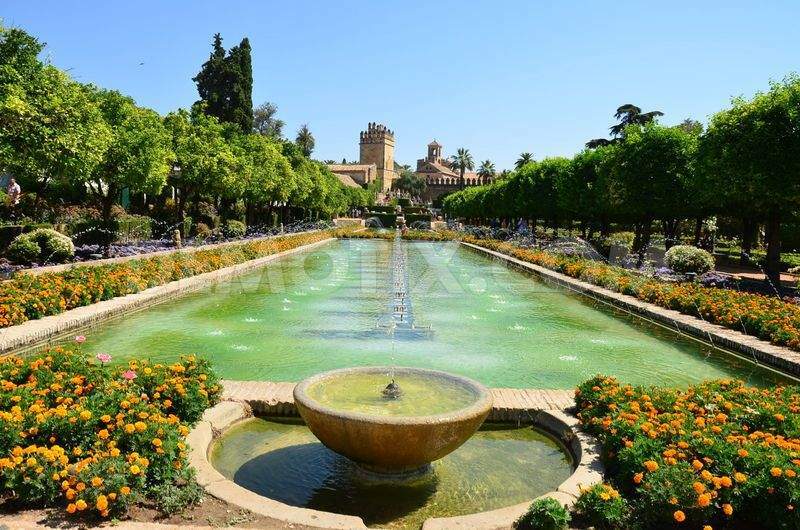 Youtube video - Music by Bach, Mozart and others played by Segovia. From 3:50 - 4:47 minutes Segovia shows off his technical skill. (7:53).